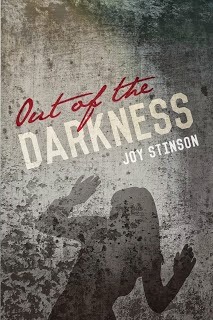 Joy Stinson contacted me earlier this year about her manuscript, Out of the Darkness. I was thoroughly impressed by her story and I decided to help her publish the book through MindStir Media back in June. The book shows the (true) long battle Joy and her family experienced with demonic forces that she had attracted during a stay at a haunted plantation. It's a frightening story and certainly not for the faint of heart. Destination America (A Discovery network) was so excited by her book that they decided to include her story in their upcoming TV series "When Ghosts Attack." Joy's account will appear on the 10pm October 27 episode entitled "Deliver Us from Evil Spirits." This is a great example of a book opening up opportunities for publicity. I'm so very proud of Joy! Her powerful story deserves to be shared with the world!